We are still in Spain, I will of course be writing all about our trip when we return but rest assured I am sure we will be having a great time. If you can’t wait then I am pretty sure there will be some beach, hotel, food and cute shots of Monkey and Kipper on my Instagram feed. We are even planning a trip to a water park and theme park which I am really looking forward to. As we are still away this is an older photo, mid July we attended a Gruffalo charity event held at Sussex Orchards. Monkey had a complete ball and it was very well put on for a charity event. 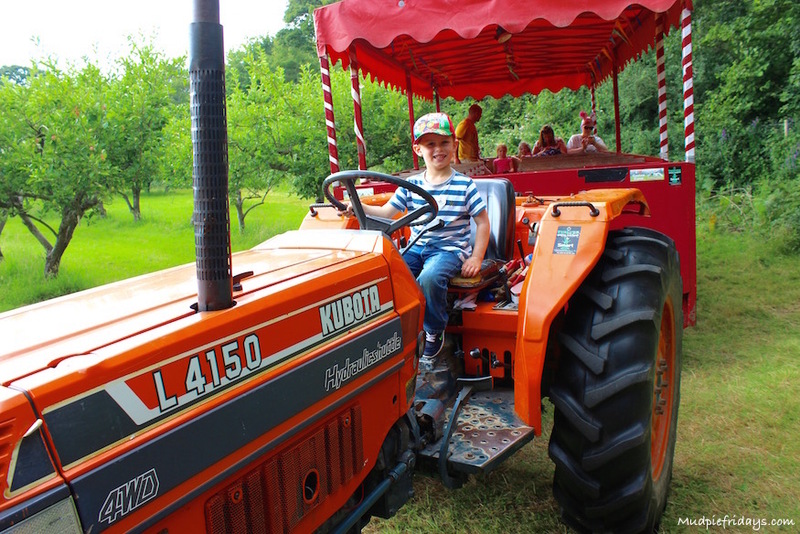 A well as hunting for the Gruffalo, learning how to press apples to make apple juice, enjoying a bouncy castle and all manor of other activities he got to have his picture taken on a real tractor! I think his face says it all!